Flat roof issues are a constant headache for homeowners across Britain, with dated materials and old fashioned installation techniques that just cannot cope with today’s ever changing weather conditions. If installed correctly with good materials, a mineral felt roof should last up to 15 years. With different techniques of felt roofing, some have reflective paint to prevent UV damage some are covered in stone chippings to prevent heat absorption, however, both restrict rain water from flowing away and contribute to the growth of moss. Also, the bitumen constantly expands and contracts in temperature changes causing the roof coverings to crack and eventually allow water penetration to the roof structure. That said, there is a solution. All three are excellent materials to use and if fitted correctly, they will last a lifetime and in most cases can even be cheaper than a traditional felt roof fitted due to the simplicity of the installation process and the materials can be cold applied without the use of hot bitumen which can make business insurances sky rocket if they work with naked flames. These systems are not affected by temperature changes and are one piece systems with no seams or joints. These systems can also be installed with timber furring’s that give the flat roof a slight pitch to allow the water to drain away with no ponding. 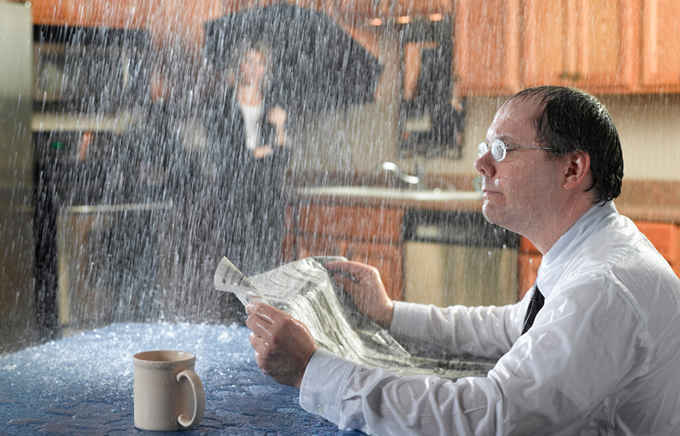 Acting now to replace your old felt flat roof before bad leaks appear can save you hassle and not to mention money. If the roof structure is still of sound condition and is rot free you can simply replace the covering only. If you leave it too late you may have to replace the decking and even in extreme cases roof joists. This can more than double the price. Take advantage of free roof inspections that most reputable companies offer and get it checked out today.